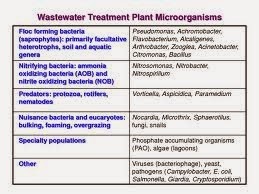 role of microorganisms in the treatment of waste water is critical to the well being of life on Earth. Bio-remediation, bio-mining, and microbial desulfurization of coal are other large-scale processes in which important positive environmental outcomes are achieved by directly exploiting the combined metabolic capabilities of naturally occurring communities of microorganisms. In such applications, the functioning of a particular microbial community can be influenced through the manipulation of conditions (e.g., nutrients, oxygen tension, temperature, agitation). balance of the end products of ruminal fermentation metabolism. MICROBIAL BIOTECHNOLOGY: SCOPE, TECHNIQUES CONTD. into Pseudomonas fluorescens,an efficient colonizer of plant roots.The effectiveness of these recombinant strains in controlling fungal disease is not yet known. the synthesis of complex organic molecules that have desirable biological activities might be transferred to their endophytes. the validity of this notion. Taxol, a highly substituted diterpenoid with multiple asymmetric centers was isolated in 1965 from the Pacific yew (Taxus brevifolia). In human cells, taxol prevents the depolymerization of microtubules during cell division. It has the same effect in fungi. Consequently, in nature, taxol is a fungicide.